... but I dismantled it to make her look more in our times. I'm also going to change her make-up. I find it too colorful. She poses great. I like her fully articulated body with removable palms. Did you find it hard to dismantle her hairstyle? I have a Victoire Roux that has her hair in this severe bun which I'm dying to dismantle but there is so much styling product in it and it feels quite hard to the touch that I'm hesitant to do it. She's lovely. I love Poppy Parker dolls but I do agree the Integrity girls do tend to be a little heavy handed on their make up! It was quite easy but she had less sophisticated hairdo than Victoire Roux. Poppy Parker make-up is colorful like several decades ago. The funny thing about it is that many collectors make an effort to chnge her original style in more contemporary and casual. I actually love the colourful make up myself. Contemporary / casual make up is what my Barbie and BJDs are for! I love the more bold IT girls. I keep meaning to say that I really love your sets. Do you make them out of wood or just thick cardboard? Thank you. I make my furniture of plywood. Madison wygląda olśniewająco! W nowej fryzurce jej do twarzy! Uwielbiam oglądać mebelki i akcesoria... są cudowne! Excellent! 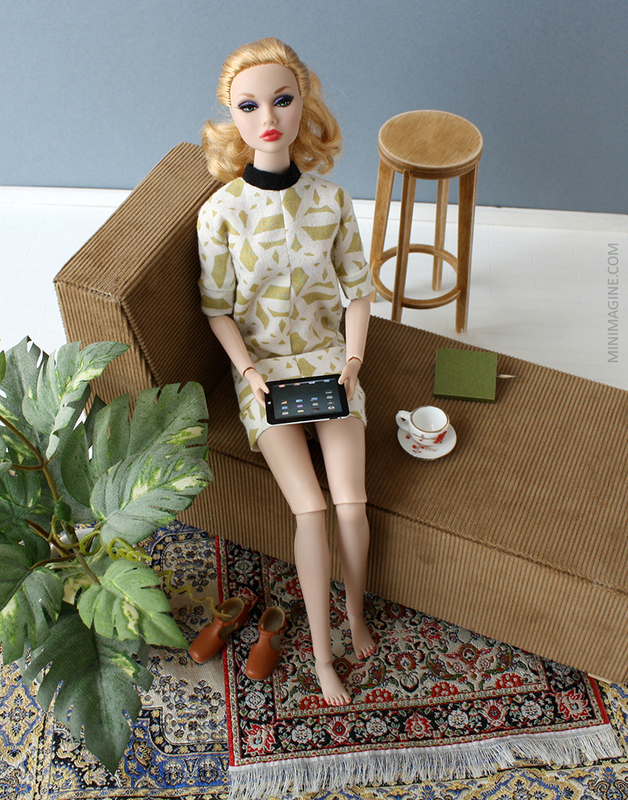 I love poppy parker doll's so much and I really want to get one! She is a stunner! Great job on her hair! Thank you. You have to get one, she's a lovely doll.